It’s hardly news that Aussies are deep into Tinder. However, it should be noted that if we took into account every time a couple hijacked their single friend’s phone to play on the dating app, it’s likely that number would sky rocket. Tinder hijacking. Heard of it? Well, it’s a thing and the psychology behind it is fascinating. “First and foremost it’s about curiosity. 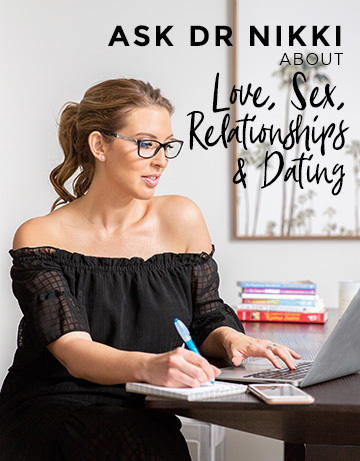 It’s not like those in a committed relationship actually want to date other people, or even chat to them online, but they want to see what all the fuss is about,” Dr Nikki Goldstein, relationship expert, sexologist and author told The Huffington Post Australia. This is especially the case if they’ve been in a relationship since Tinder’s inception. Your coupled up friends might see things you don’t see. Goldstein said there’s this element of living vicariously through your single friends: just as you’d normally ask them about any dates they’ve been on lately, this is simply another level of that. It’s about getting in on the action and seeing how it all plays out — which no doubt can be a little cringeworthy at times (for the single) — but looking at the big picture, may not be such a bad thing. “Your coupled up friends might see things you don’t see. 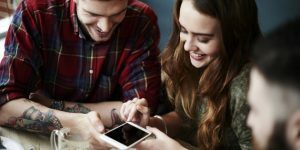 Dating apps can be very overwhelming and you quickly realise how many options there are out there. If someone isn’t right, well, you simply find someone else to chat to,” Goldstein said. The disposable nature isn’t surprising given that Tinder is, for the most part, based on what a person looks like (until you start having deep and meaningful chats, obviously) but this is where your friends in committed relationships might actually offer a different perspective. “They might draw your attention to someone you’ve matched with, who seems interested but you’ve dismissed or ignored for whatever reason,” Goldstein said. In short, people don’t like to admit they’re being superficial. And that’s where loved up couples come in. There’s also that risk of it becoming like a big joke, which can be damaging especially when someone is seriously looking for a relationship. “They want to prove their single friend wrong by matching them with people they might not normally match with themselves. Perhaps they are being a little fussy, and this way they’re able to strike up a conversation on their behalf and show them that they might actually have some things in common,” Goldstein said. Of course, there is a downside, given that your coupled up friends aren’t you. “There’s also the risk of it becoming like a big joke, which can be damaging, especially when someone is seriously looking for a relationship. People tend to forget that those on Tinder have real feelings and emotions,” Goldstein said. Goldstein’s advice whether single or a couple playing matchmaker on Tinder?